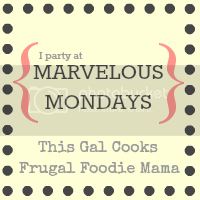 Good evening and welcome to Marvelous Mondays Week 26! First, I want to wish all of you a Merry Christmas and Happy Holidays. I hope you enjoy your holiday. :) This is the first week that Julie is hosting the party via her brand spanking new Wordpress site. 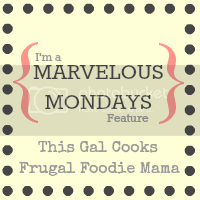 If you were keeping up with her via GFC before, make sure you stop on over to give her a follow on Bloglovin or by email so you don't miss a single one of her recipes! :) Now, on to the features and then the party. Thanks for hosting with me again! I hope you are having a wonderful Christmas!